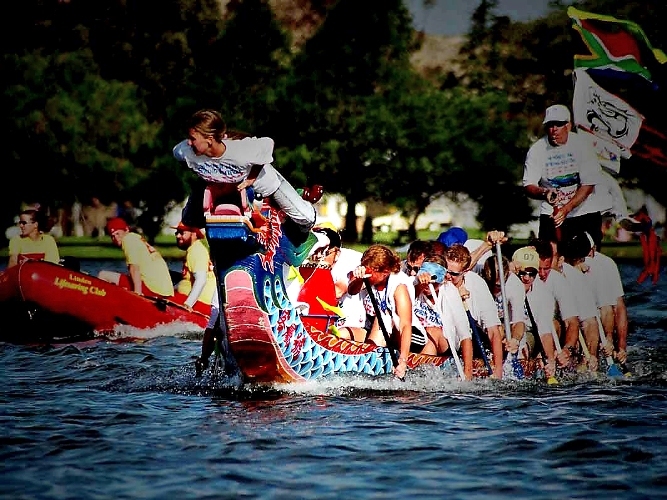 Dragonboat racing is taking off in South Africa! A club has been established in the Western Cape, where youngsters are thoroughly enjoying this team sport. This spectacular and exciting team sport originated in China over 2400 years ago and was introduced to South Africa in 1992 when two beautiful wooden flag-catching dragon boats were presented to Cape Town by our sister city in Taiwan.